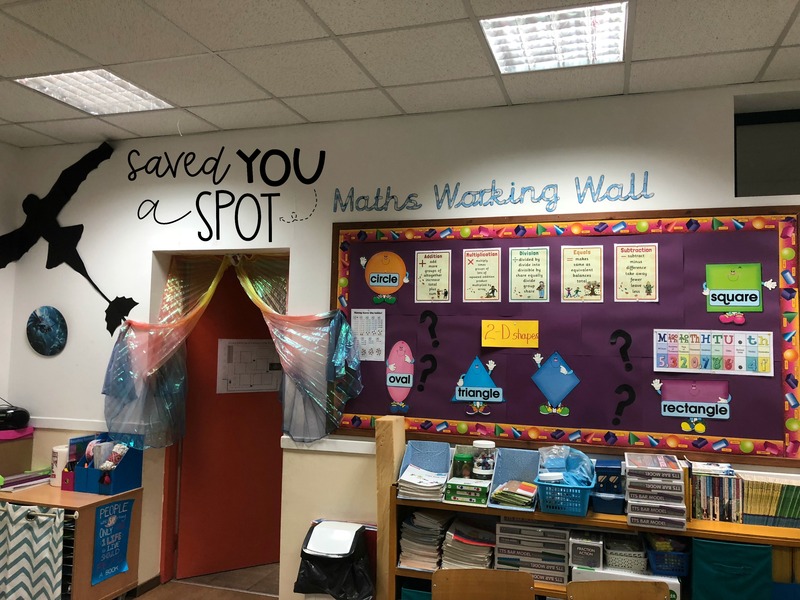 We have been back in school for a month now and my classroom reveal is long overdue! For those of you who don’t know, this year I am teaching Year 4, that is 8-9 year olds in the British system. I’m really excited about this and my first month in, has been fantastic! 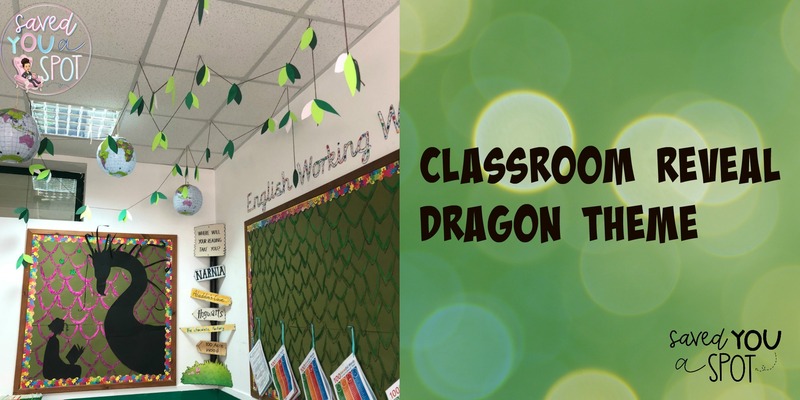 My classroom theme this year is Dragons!! 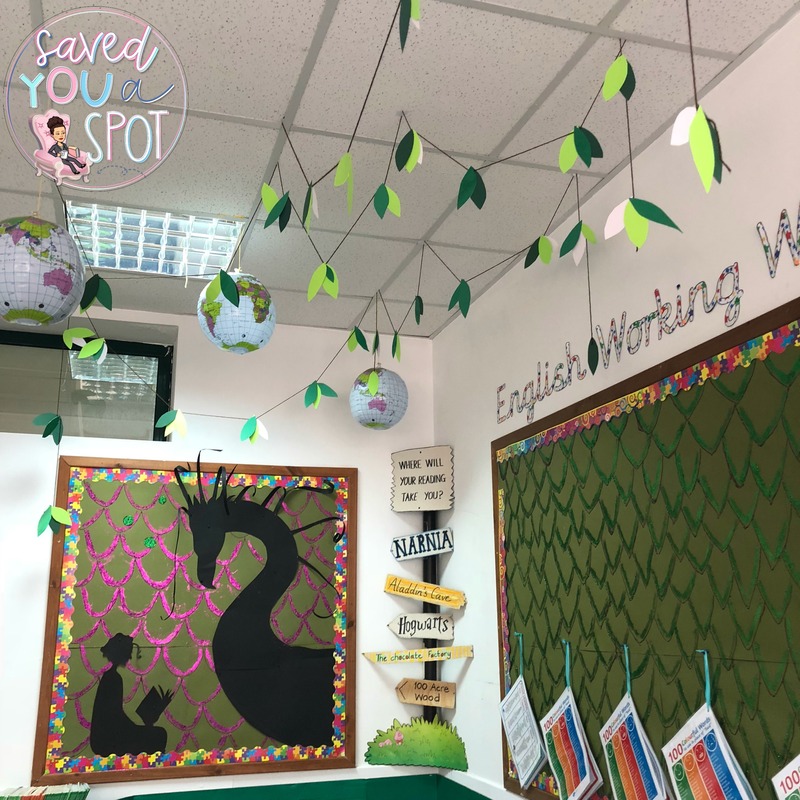 The reason other than… well who doesn’t love dragons… is that we begin our English scheme with our book focus being Cressida Cowell’s ‘How to Train your Dragon’. 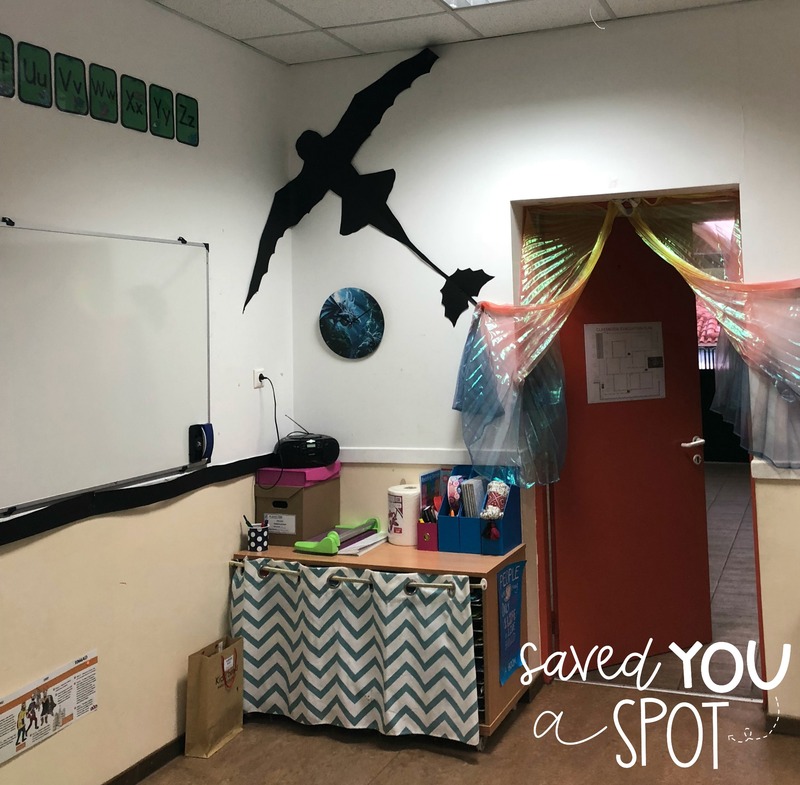 I wanted to create a themed room that matched the book and fired up everyone’s imagination! My chosen colours are green and purple (think dragon scales) and black for the dragon silhouettes. 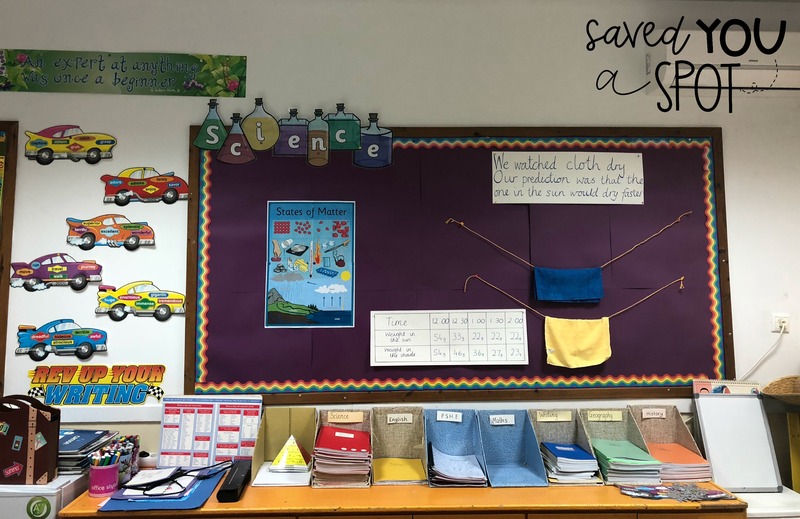 Not sure what your classroom colours can be? 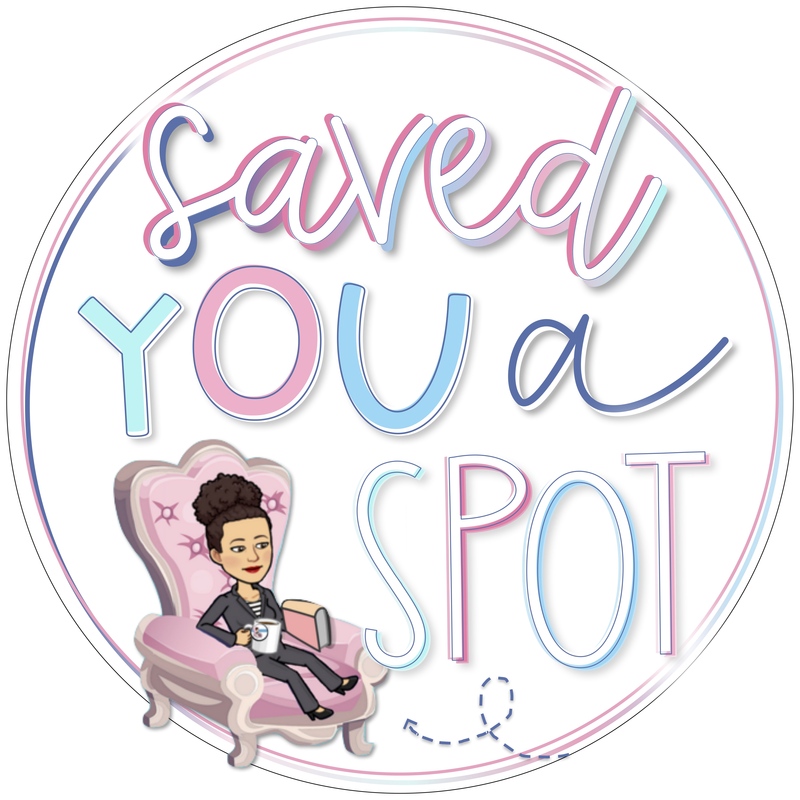 Click HERE for some guidance. 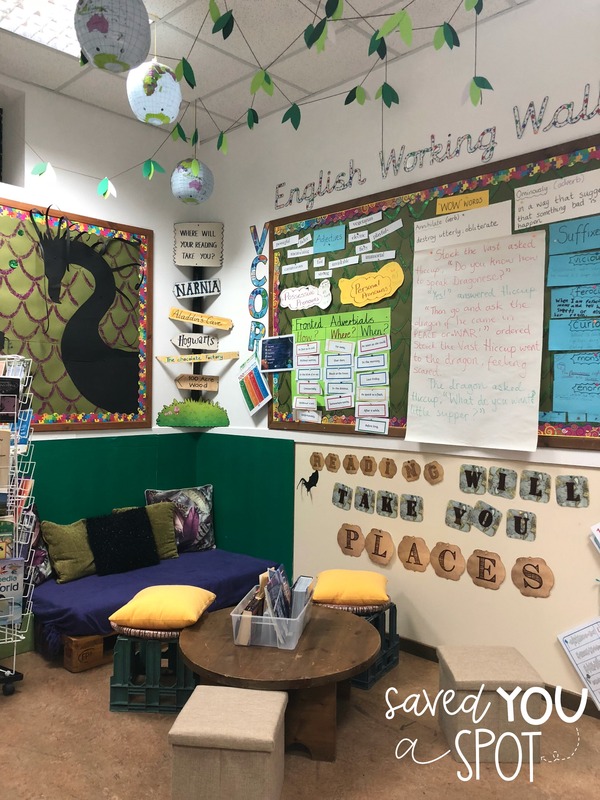 Watch how I made my reading corner HERE! As you can see, this year I have Working Walls. These are so great! I really don’t know why I hadn’t done them before. 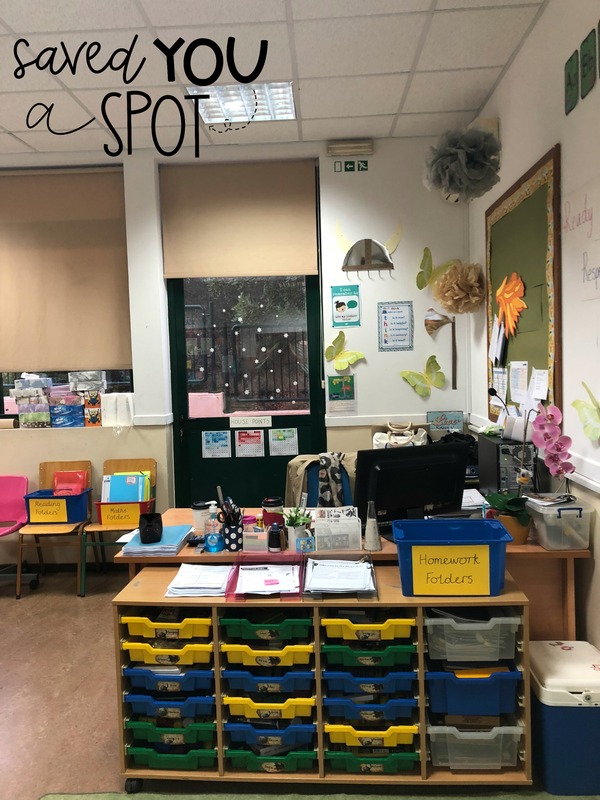 Ever changing, as work takes place, this is what it looks at this moment in time, as we are covering 2-D shapes and then moving onto symmetry! My handmade notebook separators, sitting on the cupboard, are still not finished. they need to be covered with the same paper… They are super easy to make with a box. Simply cut diagonally and cover! These cute labels were just the thing for my dragon and Viking theme! 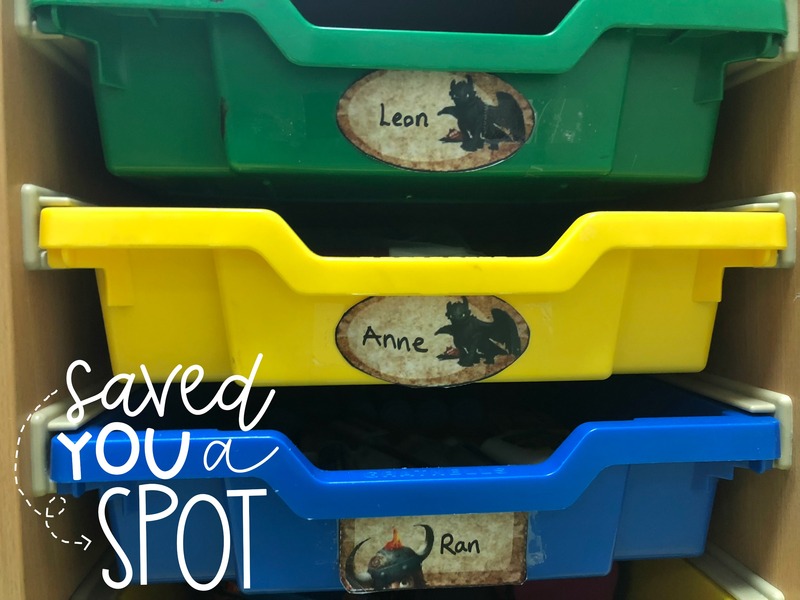 The children were really happy to have them on their trays. You can download them for free, along with many other how to train goodies from this site. Check out my free dragon downloadable alphabet for free HERE! 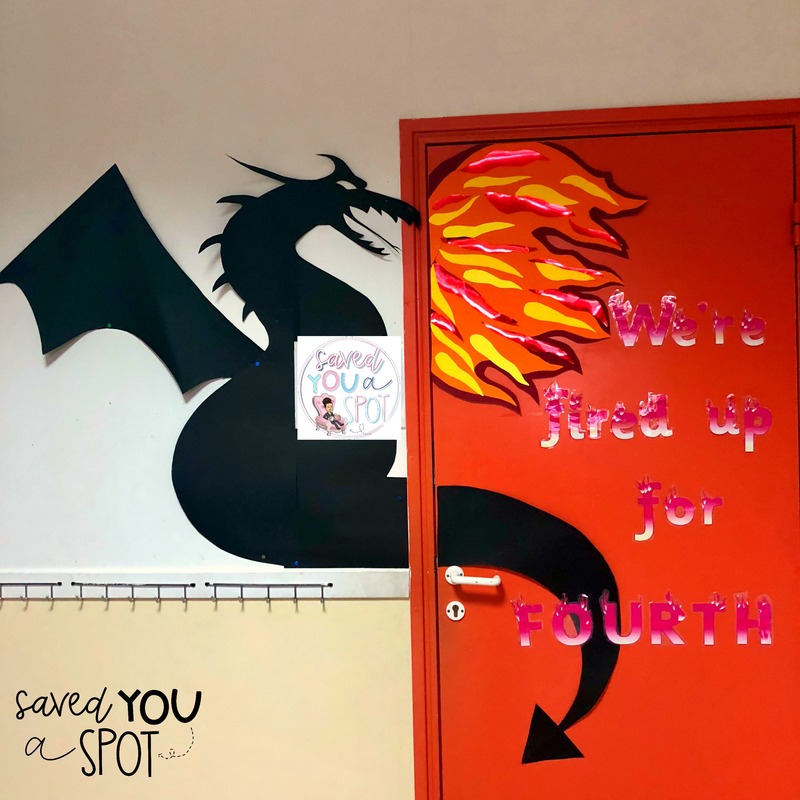 Finally, this is our classroom door decoration, that reads ‘We’re fired up for FOURTH!’ using Twinkl’s fire letters! Stay tuned to see how the classroom changes throughout the year! 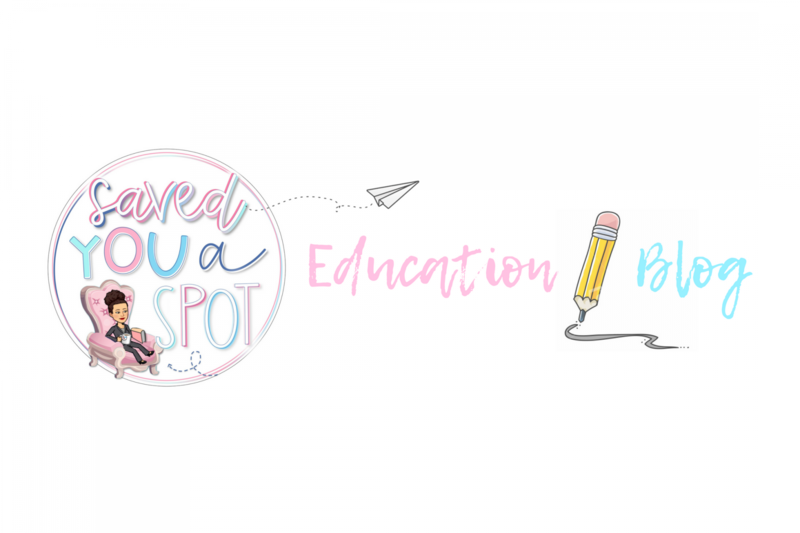 Please like and share for some teacher inspiration!